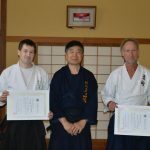 After almost fifteen years of iai training (mostly Zen Nihon Kendo Renmei’s Seitei Iaido but also some Muso Jikiden Eishin Ryu, some Shinto Hatakage Ryu and a set of kata created by my Toda-ha Buko Ryu teacher as an add-on to our standard practice) as well as after attending numerous seminars and demonstrations I have found something definitely lacking in this otherwise very interesting and rewarding art, especially when practicing with a blunt iaito: the realism aspect. I understand that most iaido teachers will jump on me saying that I don’t know what I’m talking about but to my defense I have been doing budo for almost three decades and I have discussed this with several budo teachers who all share a similar opinion: if iai is not part of a broader curriculum including some kind of partner practice and/or some kind of target practice, the danger of missing vital elements of budo such as the sense of maai-timing (both in the temporal and the spatial dimension) or of seme-pressure on the opponent is incredibly high. One of the things I found out in Japan was that this is not usually the case here. 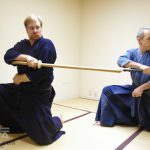 Contrary to Europe, most people doing iai in Japan also train in some form of paired practice as well: if they practice koryu iai this paired practice will most probably be within their ryuha whereas those doing ZNKR iaido will be also training in kendo or jodo, both arts that involve the presence of an opponent. And for those interested in trying something involving all the above but also lots of target practice there is the unique combination of Toyama Ryu, a school that I always wanted to see from up close. 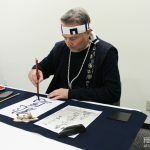 My chance to do so and in huge quantities came on the 26th of last May when the Zen-Nihon Toyamaryu Iaido Renmei, the organization governing the school, held its 37th International Competition in Machida, Tokyo and I was invited to go and cover it for “Hiden” magazine i.e. for the article you are now reading. Most “Hiden” readers are well acquainted with the school, a rather young tradition with an enormous background: following the epoch-making changes of the Meiji Restoration, the then new Imperial Japanese Army sought to find the best training regime for its officers and after studying Western styles, returned to their native source by reevaluating the katana and by creating a system that would be both rooted in the past and efficient in a modern battlefield. Legends of the classical sword arts like Nakayama Hakudo and Kunii Zenya were involved in the process and the result, the “Gunto Soho” became a standard part of the education and training of the army cadets in the Toyama Military Academy, itself an organization that goes back to almost the beginnings of the Meiji Era (it was established in 1873). Several years, a war, an occupation, a ban on budo and a second restoration later, the Toyama Ryu together with all martial arts of Japan was reexamined and restructured to reflect the changes in society and in the role this important fighting legacy could play in a time of peace; incidentally this fits perfectly with the Japanese tradition since for the most part even schools that we today consider “martial” were actually founded and developed during the peaceful times of the Tokugawa shogunate without this having any negative effect on their efficacy or their general value. 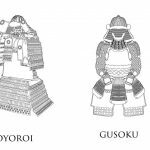 Toyama Ryu’s new role was to become a treasury of both the older lines involved in its creation and the spirit of practicality that only an age of war and a functioning army mentality could force. Devoid of the ideological ghosts of the previous eras, Toyama Ryu is now among the most well-rounded sword schools, putting equal weight on iai practice, kata-based kumitachi, makiwara target cutting and free sparring, all performed and executed with real swords. Not having seen Toyama Ryu before (as far as I know there is scarce presence in some European countries; actually there’ even a dojo in Greece practicing the Obata Toshishiro interpretation called “Shinkendo” but I’m not in Greece anymore!) I’m not sure what I was expecting going to Machida that morning but I have to admit that the first shock was visual: contrary to the ZNKR environment where uniformity is more or less the rule, the Toyama Ryu crowd was much more “colorful”; I have to put the word in quotes since most of them were wearing variations of the classic black and thin-stripes but colors aside many of them had wakizashi short swords, daisho sword pairs, tanto daggers and fans tucked in their obi and many had netsuke and inro boxes hanging from them. Adding the informality of the atmosphere with people laughing loudly and teasing each other regarding the upcoming tameshigiri competition and the really flashy saya scabbards, the whole scene looked like how a gathering of swordsmen must have been back in the Edo period. There were two other things thing that immediately hit me in the hall. The first was the smell; even though this was a high-ceilinged sports’ hall with big doors open in both sides, the unmistakable aroma of wet tatami was thick; no wonder considering in the court’s center there were a few stacks of the stuff about two meters high. And the other was a complete lack of bokuto: I’ve been in dozens of sword related events, from kendo tournaments to the Dai Token Ichi swords’ show and this was the first time there wasn’t even one bokuto in sight. Apparently the Toyama Ryu crowd feels very strongly about mock-up swords although they, apparently, make some allowances for the habikito swords used in their gekiken, the free sparring that we were going to watch later. As was expected from a school that is almost responsible for putting tameshigiri on the map, a big part of the event was dedicated to it. Starting with the suemonogiri, the vertical cutting of stacks of thick tatami mats imitating the cutting of dead bodies of old and continuing with more intricate sequences like the godan giri, the rokudan giri, the inazuma giri and the mizu gaeshi, the members of the ryu either alone or in teams, grouped according to rank/level tried their hand using both the short sword and the long (and on occasion some wide and heavy swords which appeared to be heavily customized just for this practice). Of course the results varied greatly depending on each practitioner’s level but what was really impressive was the ease with which almost all practitioners handled their live blades; as far as I can tell, there were no accidents to either people or swords (excluding the occasional bent) and this was quite a feat considering there were at least two hundred people cutting almost constantly for almost three hours in the four different stages the hall was divided in. Tameshigiri is a tricky practice; this is why it has it advocates and opponents and had them since the times of Nakayama Hakudo and Takano Sasaburo (both great swordsmen have found merits in doing the practice but both were quite strict in how and when it should be done, with the latter saying quite bluntly that anything other than cutting iron helmets is just a silly game). And certainly one can see the cons of focusing a big part of a practitioner’s training in cutting makiwara, especially if the practice becomes the object of competition: technique tends to become sloppy and narrowly focused on efficacy alone, especially if it loses its connection to the iai kata it is supposed to complement. Also, the practitioner can lose sight of the many factors that affect a successful cut: a right cutting angle (hasuji) does not always result in a good cut and the same is true for a strong cut –various elements have to be combined to achieve the desired result and this takes lots of time and effort. Still, the Toyama Ryu puts much weight in the practice and, to this writer’s untrained eye, it seemed as if the target was equally hit and missed: the lower level practitioners had a tendency to focus more on just going through the makiwara, frequently at the expense of their form (especially at the suemonogiri cuts, the kamae of many of them was way off –at least compared to that of the most senior exponents) while as the level was getting higher it was obvious that the practitioners were more collected and had a much better unification of body posture and movement, technique and efficacy. Of course this it to be expected, not only in the martial arts but in any endeavor/activity, and this is one of the marks separating the juniors from the seniors but I couldn’t help thinking that perhaps Nakayama Hakudo might be right in thinking that tameshigiri should be confined to practitioners having reached a certain level. Was the spectacle impressive as a whole? Quite frankly, after a certain point it stopped being, in the respect that it lost its novelty value: at least 90% of the practitioners, even those at lower levels, were able to cut through their targets so there was no real element of surprise there. A more apt description would be that it was “interesting”, in the sense that with time, and as the eye became more fine-tuned to what the swordsman was trying to achieve and to the minutiae of their technique, focusing on the best and/or higher ranked practitioners (some of whom were also teachers) proved more rewarding: their performance was not about cutting the target but about cutting it exactly as they wished to, with the precision needed to make for clean cuts at the exact spots between the binds and without upsetting the rolled up mats (sometimes, the judges would check the cut piece to ascertain that the cut was exactly how it was supposed to be). As an aside, and to avoid any misunderstandings, my personal experience with tameshigiri is very limited; mostly because of the unavailability of makiwara in Greece but also because, as I mentioned earlier, my training has been for the most part in ZNKR’s Iaido. From the few times I have attempted it though, I have reached the conclusion that, like most things in budo, it is a matter of balance: if the practitioner aims for a cut that incorporates correct mind, correct body, correct technique and maximum efficiency, tameshigiri is a great exercise and can vastly improve their budo –if any of the above is lacking, you might end up with some undesirable results be it a bend sword, a pulled muscle, an imperfect technique or an empty feeling, regardless of the result on the makiwara. Being “real” in budo is not just about hitting the target but hitting it in the way it is supposed to be hit! Realism makes a very good bridge to the other aspect of the Toyama Ryu event, that of habiki gekiken. Like tameshigiri, the free sparring matches called gekiken, aim to give the practitioner a chance to test their technique in a real situation with an opponent that moves and tries to achieve the same; this means that everything learnt in kata partner practice and, to some extent in iai practice, must be applied in the most efficient way and, once again, without the practitioner cutting corners in terms of correct form, correct body and correct mind. Did the Toyama Ryu exponents achieve that? 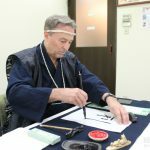 Like in tameshigiri, yes and no –again to eye of an outsider who can only compare drawing from a rather limited experience with judo and kendo shiai. For those who haven’t seen Toyama Ryu’s gekiken, a brief description might be in order: think of kendo but with equipment enhanced enough to withstand the hits of a metal (albeit, unsharpened –hence the name “habiki” meaning “with the cutting edge removed”) sword –the protective equipment is an improvised combination of kendo, fencing, baseball and hockey protectors guaranteeing that the two opponents will be safe and mobile enough to be able to complete their “mission”. Contrary to kendo, there is only one referee overseeing the match, the defining point is only one and the two opponents are required to admit when they are hit (this appeal to the practitioner’s honesty is probably the most interesting part of this practice). Also contrary to kendo, the choice of targets is not limited to the head, wrists/forearms, chest and throat: everything is more or less fair game, as it would be in a real swordfight. For lack of equipment, only the semi-finals and finals were played using the full protective armor; until then, practitioners fought wearing only a mask/head protector and using foam swords similar to those used in sports-chanbara. I can’t say I cared much for this part of the competition since the lack of danger leaves room for a much sloppier technique. (As an aside, to ascertain that my perception was right, I asked one of the Toyama Ryu practitioners to hit me on the forearm with this “weapon”. When the first hit didn’t even make me flinch he attempted a second one, a full power kiri oroshi-style overhead “cut” which had more or less the same results i.e. none. I wonder if a fukuro-shinai and some kendo equipment might have been a better choice). At any rate, the “real” gekiken was with the full protective equipment and the habikito swords. And to be frank, much more interesting as it were, it still left something to be desired: although it was obvious that the threat was there and that the two opponents were trying their best not to get hit (I assume the pain from getting hit with an iron bar played some role in that!) the movement was quite free and rather outside the kinesiology normally associated with kenjutsu ryuha –having seen various schools doing free sparring (albeit with bokuto or fukuro shinai) this was quite different and it brought to mind European fencing, especially since participants frequently used one-hand attacks. What was really interesting was that the honesty angle worked pretty efficiently: during the matches I watched, no one tried to cheat and judging from the reactions of the audience and the referees, there was no dispute regarding who had won and who had lost. Lest the above sound a tad disparaging, I must say that I enjoyed the gekiken and I believe it adds much to the overall understanding of the Toyama Ryu exponents as regards to the use of the sword; to any extent, much more than kendo would. Any way you cut it (no pun intended) kendo is a sport and after working for decades in the context of specific rules and with specific equipment I doubt there are many kendoka who feel that what they do is actual swordplay and that it is part of the same continuum with the Kendo Kata, iaido and its accompanying kenjutsu (provided they do study iaido and they reach some level high enough that they get to study some koryu also involving kenjutsu). I think that the lessons learned in participating in gekiken (swords getting bent and needing to be straightened not being the least important of them!) 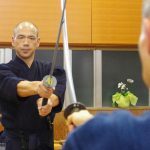 are of crucial value to any student of swordsmanship and in that respect I think that Toyama Ryu exponents are in an advantageous position as compared many practitioners of other schools. Overall, I can say without a doubt that watching the Toyama Ryu event was an education in many levels. 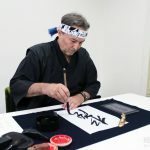 If I tried to summarize my “findings” I would say that a glimpse at the world of Toyama Ryu gives an insight on how people who use real swords in a real way are: cautious, attentive to detail disciplined when they need be but also openhearted and easygoing when the swords have been re-sheathed. There was a lot of good-humored teasing and joking which balanced out the tension inherent in handling an instrument of death even if only to cut down a makiwara target or to participate in a pre-arranged form and this, to my mind, is a wonderful lesson especially for those who have studied budo outside Japan and tend to be “holier than thou” as to how the bushi/samurai were and practiced. 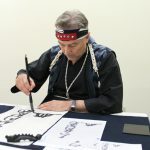 I am not in a position to judge the training methods of the ryu since I don’t study it, but I would definitely suggest it as an alternative to someone wanting to study Japanese swordsmanship “as it was”; if the higher-level practitioners are any indication any issues arising from the emphasis on tameshigiri or the way gekiken is organized will be eventually ironed out by the school’s andragogy and perspective. And what will remain will be a deep understanding of this unique among weapons, the Japanese sword.